Tolkuse bog is a wetland in a reserve in south-western Estonia, located halfway between Pärnu and the Latvian border. 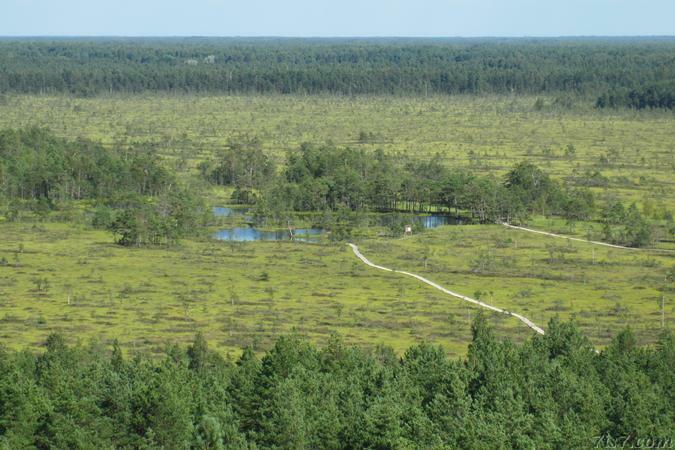 The bog is located in the Luitemaa national park which consists of the Rannametsa coastline, the Rannametsa dunes (the highest in Estonia) and the Tolkuse wetland. A path of planks has been laid through the bog, making it possible to walk through it. A wooden tower on Tornimägi offers a spectacular view over the bog and the sea. 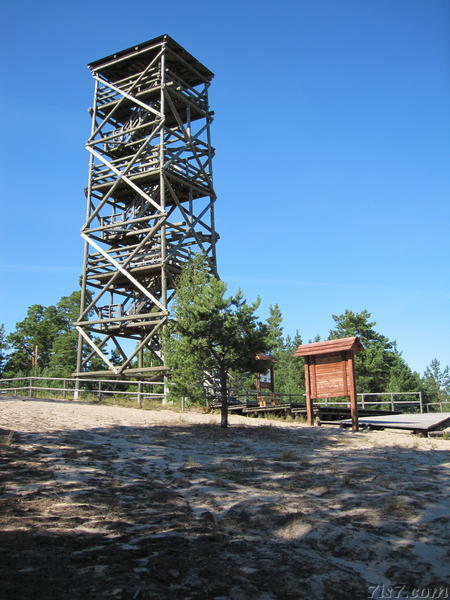 The current tower was completed in 2004, has a height of 18 meters, with a viewing platform at 15 meters. The tower stands on a 34 meter high dune and thus reaches 52 meters above sea level. It offers views up to a distrance of 50 kilometers, making it is possible to distinguish the islands of Kihnu and Manilaid. Location: 58°8'22"N 24°31'16"E on: Google Maps, OpenStreetMap, Maa Amet.